ROOF PANEL: High-strength steel panels in uncoated or prefinished galvalume. Painting consists of premium-grade siliconized polyester or fluorocarbon finish systems. Available in Polar White 26-gauge PBR and PBM panel color 26-, 24-, and 22-gauge R panel and 26-, 24-, and 22-gauge standing seam. Various paint-life warranties, are available depending on a coating type selected. WALL PANEL & SOFFIT PANEL: High-strength steel panels in uncoated or prefinished galvalume. Painting consists of a variety of colors in siliconized polyester and fluorocarbon finish systems. Panels are available in several configurations in 26-, 24-, and 22-gauge. Various paint-life warranties are available depending on coating type selected. 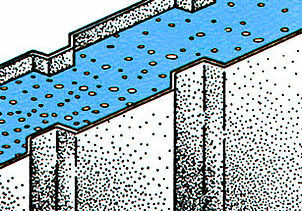 RIDGE CAP: High strength steel caps, die formed, in uncoated or prefinished galvalume. Paints, gauges, and warranties. are identical with roof panels. TRIM COMPONENTS: High strength steel trim components in uncoated or prefinished galvalume. Colors are available in same selections as wall panels. ROOF PURLIN/EAVE STRUT/WALL GIRTS: Die formed, high strength structural sections available in 16-, 14-, 13-, and 12-gauge cees and zees. Painting consists of one coat of red primer formulated for long life and durability. BASE ANGLE & RAKE ANGLES: Die formed, high strength structural angle, available in 14-gauge. Paint specifications same as roof purlin, eave strut and wall girts. 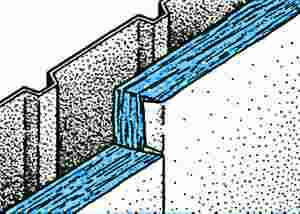 END WALL RAFTERS & END WALL COLUMN: All bolted assembly, fabricated from either die-formed, high-strength structural cee sections or built-up wide-flange sections. Painting consists of same specifications as roof purlin, eave struts and wall girts. INTERIOR FRAMES: Fabricated from high-strength steel for all bolted field assemblies. Painting consists of same specifications as roof purlin, eave strut and wall girts. MASTIC: Continuous non-hardening tape sealant at all side and end laps of roof for weather tight seal. All of Smith Steel's roof and wall panels are produced from a base metal that is 26-, 24-, or 22-gauge steel, depending on project requirements. These panels are manufactured from either high-strength galvalume produced to ASTM A792/A792M-AZ50 or -AZ55, grade 50; or HDG produced to ASTM A653/A653MG90 structural quality grade 50, grade D strength. 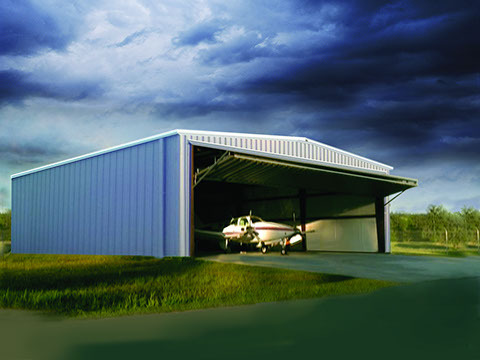 All panels are available with either a premium grade siliconized polyester or fluorocorbon finish paint system. The siliconized polyester is a thermoset coating system composed of polyester resin modified by copolymerization with functional silicone resin intermediate. With high-quality ceramic pigmentation, this coating offers optimum exterior protection plus superior resistance to chemical corrosion and ultraviolet radiation, representing the most sophisticated silicone polyester coating system in the industry. The fluorocarbon paint system combines ceramic pigmentation with polyvinylidene flouride (70% of resin solids) for a superior, long-lasting finish. Outstanding performance and durability are achieved through this properietary resin technology. This coating provides unsurpassed performance in critical areas such as color retention, film erosion rate and chemical resistance. All coatings carry various long-life warranties. Information about these warranties are available upon request. All of Smith Steel’s primary and secondary framing members are manufactured using the best high-strength domestic steel available. Our state-of-the-art computer assisted design (CAD) technology enables us to produce an optimized structure, durable enough to provide many years of maintenance-free service at affordable cost. 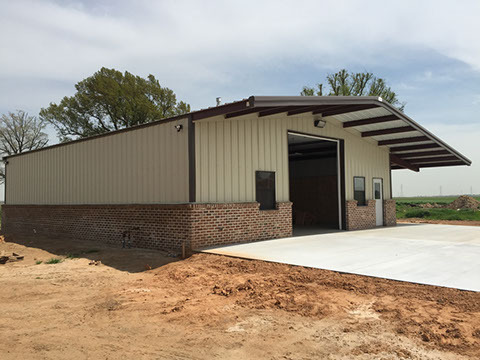 We utilize an array of primary frame types that create structures that are best suited for the intended purpose of the building. All products are available in smooth or embossed finish. Trim is available in all colors. 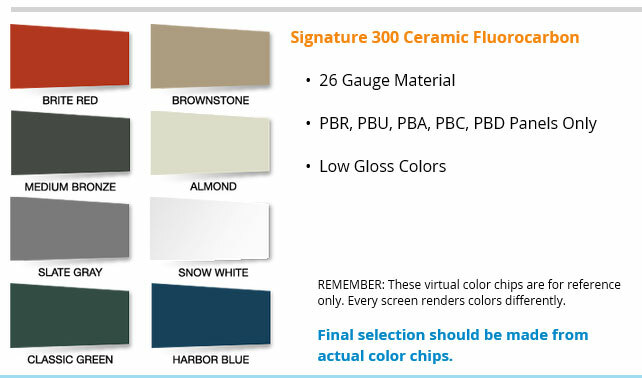 REMEMBER: These virtual color chips are for reference only. Every screen renders colors differently. Smith Steel’s bare GALVALUME® PLUS is a hot dipped aluminum alloy coated sheet that can be used as unpainted roofing or siding panels. When erected within the United States, this panel carries a limited warranty against rupture, structural failure and perforation for a period of 20 years from the date of shipment. This warranty covers panels exposed to normal atmospheric corrosion under normal use and various exclusions for more aggressive atmospheric conditions and certain uses apply. This is a limited warranty subject to additional stipulations, limitations, terms and conditions not stated herein. Information about these stipulations, limitations, terms and conditions is available upon request. 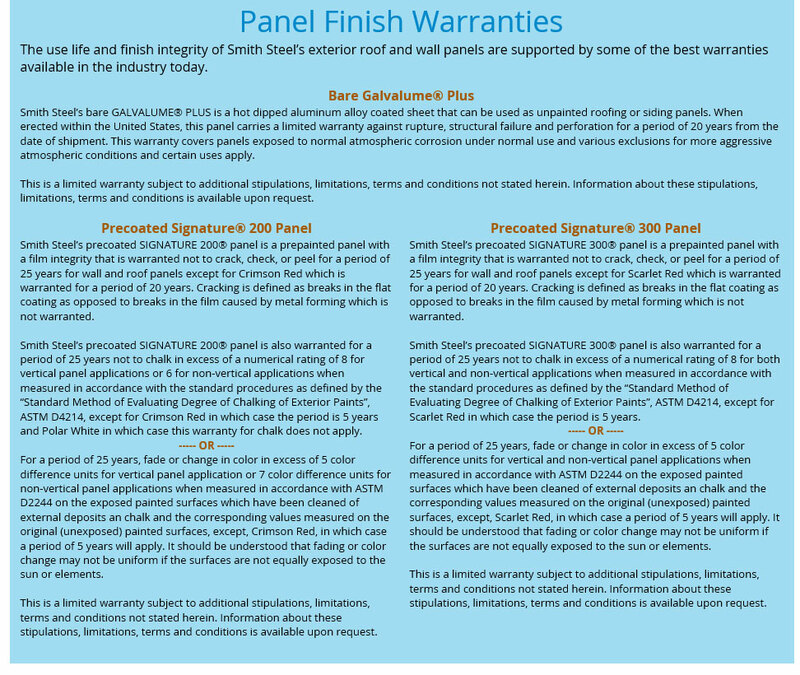 The use life and finish integrity of Smith Steel’s exterior roof and wall panels are supported by some of the best warranties available in the industry today. Smith Steel’s precoated SIGNATURE 200® panel is a prepainted panel with a film integrity that is warranted not to crack, check, or peel for a period of 25 years for wall and roof panels except for Crimson Red which is warranted for a period of 20 years. Cracking is defined as breaks in the flat coating as opposed to breaks in the film caused by metal forming which is not warranted. Smith Steel’s precoated SIGNATURE 200® panel is also warranted for a period of 25 years not to chalk in excess of a numerical rating of 8 for vertical panel applications or 6 for non-vertical applications when measured in accordance with the standard procedures as defined by the “Standard Method of Evaluating Degree of Chalking of Exterior Paints”, ASTM D4214, except for Crimson Red in which case the period is 5 years and Polar White in which case this warranty for chalk does not apply. For a period of 25 years, fade or change in color in excess of 5 color difference units for vertical panel application or 7 color difference units for non-vertical panel applications when measured in accordance with ASTM D2244 on the exposed painted surfaces which have been cleaned of external deposits an chalk and the corresponding values measured on the original (unexposed) painted surfaces, except, Crimson Red, in which case a period of 5 years will apply. It should be understood that fading or color change may not be uniform if the surfaces are not equally exposed to the sun or elements. Smith Steel’s precoated SIGNATURE 300® panel is a prepainted panel with a film integrity that is warranted not to crack, check, or peel for a period of 25 years for wall and roof panels except for Scarlet Red which is warranted for a period of 20 years. Cracking is defined as breaks in the flat coating as opposed to breaks in the film caused by metal forming which is not warranted. Smith Steel’s precoated SIGNATURE 300® panel is also warranted for a period of 25 years not to chalk in excess of a numerical rating of 8 for both vertical and non-vertical applications when measured in accordance with the standard procedures as defined by the “Standard Method of Evaluating Degree of Chalking of Exterior Paints”, ASTM D4214, except for Scarlet Red in which case the period is 5 years. For a period of 25 years, fade or change in color in excess of 5 color difference units for vertical and non-vertical panel applications when measured in accordance with ASTM D2244 on the exposed painted surfaces which have been cleaned of external deposits an chalk and the corresponding values measured on the original (unexposed) painted surfaces, except, Scarlet Red, in which case a period of 5 years will apply. It should be understood that fading or color change may not be uniform if the surfaces are not equally exposed to the sun or elements. Insulation is perhaps one of the most cost-effective ways to meet the efficiency requirements of metal buildings. Furthermore, it provides additional benefits such as energy savings, condensation control, noise control and enhanced light reflectivity that will remain with the building over the life of the structure. There are four basic types of insulation commonly used in metal buildings, each offering different properties. This type of insulation is commonly installed over or within the structural frame of the building, inside the wall and roof sheets. It is easy to install, will not rot or decompose, is fire resistant and offers excellent sound control properties. These insulations may be applied in single or multiple layers and various systems to obtain the desired thermal performance. The vapor barrier is attached to the inside face. These panels consist of a layer of insulation, such as fiberglass or foam plastic, sandwiched between an interior and exterior metal skin. Thermal efficiency is excellent. However, unless special finishes or treatments are applied, acoustical performance inside the building is less than flexible fiberglass or spray-on type insulations. Cellulose is made from paper and may be treated with chemicals to improve its fire resistance. It is sprayed onto the interior surfaces of wall and roof panels after the building is erected. This type of insulation usually cannot provide "R" values greater than 7 for roofs and 10 for walls, and, therefore, is limited in its thermal effectiveness. Its acoustical performance is good and application is low in cost, but it is sensitive to operator's skill. Spray-on cellulose has a rough surface which can collect dust, and because it is unfaced, it can absorb combustible oils and materials used in many manufacturing operations. It has no vapor retarder, so moisture vapor can condense in the insulation. enhance their appearance. They are more labor intensive to install than flexible fiberglass. 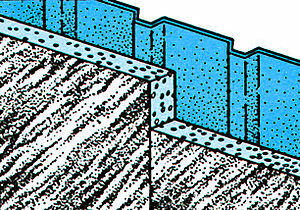 Foam board is a rigid type of insulation, usually made from phenolic, urethane or isocyanurate. It is available in large size boards and may be applied inside or outside the structural frame. Thermal efficiency is excellent. Acoustical performance is inferior to both NAIMA 202 flexible fiberglass and spray-on cellulose due to the composition of the board. 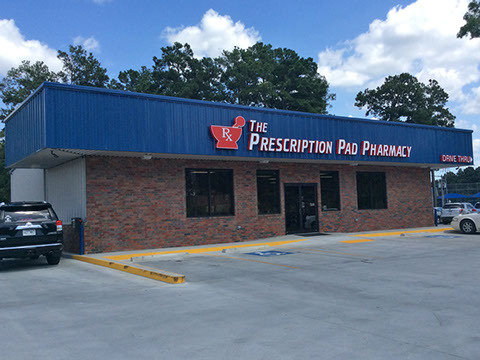 Foam board panels are available with a wide variety of surface treatments to retarder facings provide an attractive interior appearance and greatly enhance light reflectivity. 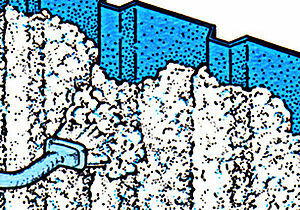 NAIMA 202 flexible fiberglass insulations are highly cost effective. They can be used in new and retrofit applications to existing buildings. They are designed specifically for metal building use and are marked to show they comply with the NAIMA 202 Standard. 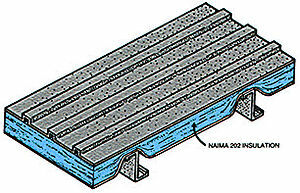 NAIMA 202 insulations are the only fiberglass insulations recommended for lamination and application in metal buildings. Installation of this type of insulation is more costly than most NAIMA 202 fiberglass metal building insulations because of higher material costs and more time required to cut and fit the rigid panels to the building. 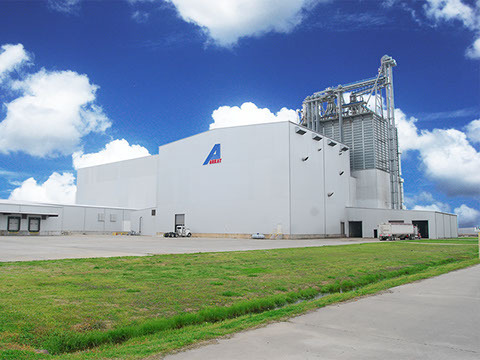 There are various methods and systems for installing NAIMA 202 fiberglass blanket insulation in metal buildings. Each offers its own advantages. Some methods can be used on both new and retrofit construction, while others are for new construction. This type of insulation is commonly installed over or within the structural frame of the building, inside the wall and roof sheets. It is easy to install, will not rot or decompose, is fire resistant and offers excellent sound control properties. These insulations may be applied in single or multiple layers and various systems to obtain the desired thermal performance. The vapor retarder facings provide an attractive interior appearance and greatly enhance light reflectivity. NAIMA 202 flexible fiberglass insulations are highly cost effective. 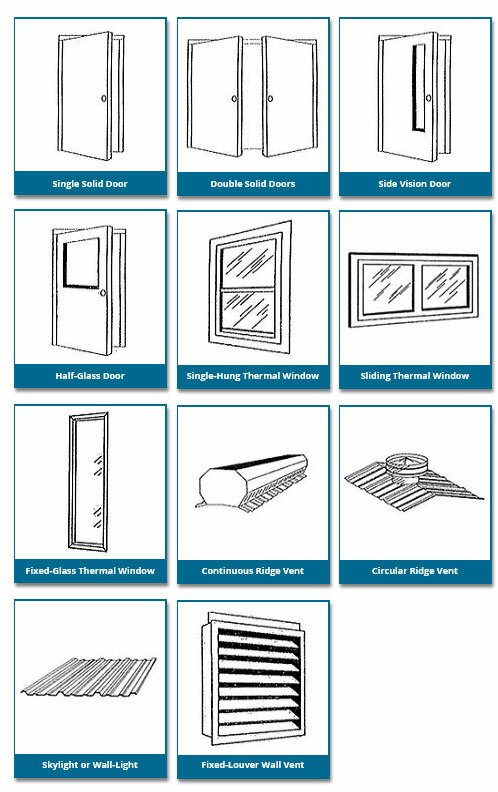 They can be used in new and retrofit applications to existing buildings. They are designed specifically for metal building use and are marked to show they comply with the NAIMA 202 Standard. NAIMA 202 insulations are the only fiberglass insulations recommended for lamination and application in metal buildings. 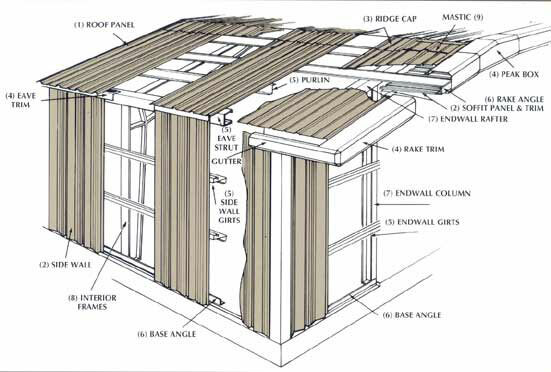 This method accommodates thicker insulation without compression at the structural members. The result is better thermal efficiency. There is however, the problem of thermal bridging through the structural members in direct contact with the metal covering sheets. Thermal blocks of polystyrene rigid foam insulation between the sheets and structural members will provide a thermal break. 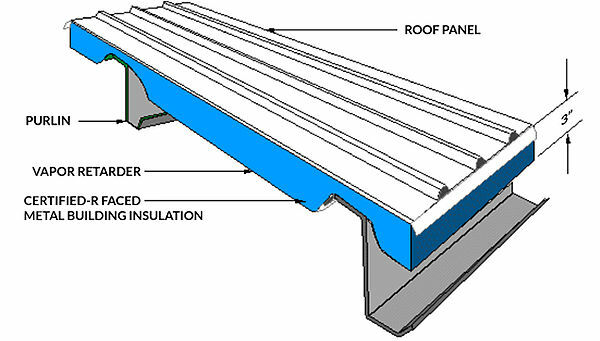 Note, the vapor retarder facing tabs on the insulation are carried up over the purlin overlapping the adjoining facing of the next course of insulation, assuring continuity of the vapor retarder. Adding an acoustical ceiling for noise control, appearance and additional thermal performance can be accomplished by attaching a vapor-retarder-faced acoustical ceiling panel to the bottom face of the purlins or by hanging a suspended ceiling to the building frame. If the acoustical material does not have a vapor retarder, use NAIMA 202 insulation with a vapor retarder facing and carry the facing up over the purlin and overlap adjoining facing on the top face of the purlin. 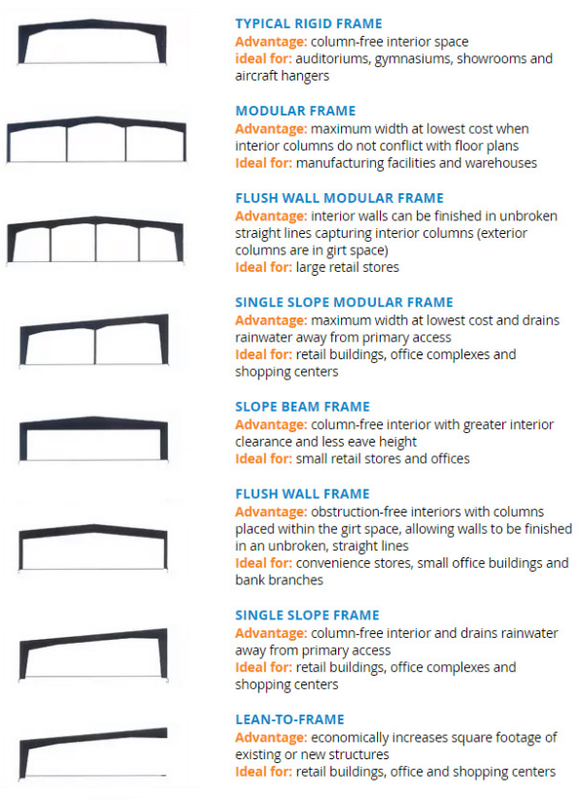 Can be installed during construction or as a renovation project. This is a joint aggregate warranty by the manufacturer and the installing roofing contractor and warrants severally that the contractor’s workmanship will be adequate to prevent leaks for a period of 20 years for the date of substantial completion of the installation of the roof system. Should there be a claim this warranty is fully satisfied by the repair of the roof system and the repairs will carry a limited warranty against leaks only for the remaining balance of the original 20 year warranty period. Under this warranty the manufacturer and roofing contractor’s aggregate total cumulative liability is not to exceed $ .20 per square foot for the manufacturer and not to exceed the original cost of installation for the roofing contractor. All weather tightness warranties are subject to change without notice. Actual and complete copies of all weather tightness warranties are available upon request. This is a joint aggregate warranty by the manufacturer and the installing roofing contractor and warrants severally that the contractor’s workmanship will be adequate to prevent leaks for a period of 20 years for the date of substantial completion of the installation of the roof system. Should there be a claim this warranty is fully satisfied by the repair of the roof system and the repairs will carry a limited warranty against leaks only for the remaining balance of the original 20 year warranty period. Under this warranty the manufacturer and roofing contractor’s aggregate total cumulative liability is not to exceed $ 3.50 per square foot for the manufacturer and not to exceed the original cost of installation for the roofing contractor. This is a joint aggregate warranty by the manufacturer and the installing roofing contractor and warrants severally that the contractor’s workmanship will be adequate to prevent leaks for a period of 20 years for the date of substantial completion of the installation of the roof system. Should there be a claim this warranty is fully satisfied by the repair of the roof system and the repairs will carry a limited warranty against leaks only for the remaining balance of the original 20 year warranty period. Under this warranty the manufacturer and roofing contractor’s aggregate total cumulative liability has no dollar limit. This is a single source warranty by the manufacturer in which the manufacturer warrants that the contractor’s workmanship will be adequate to prevent leaks for a period of 20 years. Under this warranty the manufacturer has sole and exclusive obligation for all warranty work commencing on the date of substantial completion and under all circumstances terminates on the 20 year anniversary of the date certified as substantial completion of the manufacturer roof system. The date of substantial completion is the date that is certified by the architect, owner or owner’s representative, when the manufacturer’s roof system is complete and accepted by or on behalf of the owner. The total liability under this warranty shall not exceed $ 7.00 per square foot of roofing material and the manufacturer has the right to charge to the liability account all reasonable expenses (including, but, not limited to, investigation expenses) included in satisfying the requirements of this warranty. The total liability under this warranty shall not exceed $ 14.00 per square foot of roofing material and the manufacturer has the right to charge to the liability account all reasonable expenses (including, but, not limited to, investigation expenses) included in satisfying the requirements of this warranty. This warranty has no dollar limit.